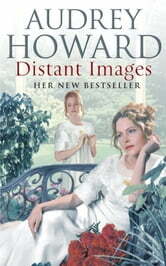 Distant Images | Rakuten Kobo. As they dazzle all the men at Queen Victoria's jubilee ball, Beth and Milly Goodwin seem to be mirror images of one another: beautiful, graceful and rich, they can take their pick of any man in St Helens. Only those who know them best realize that Milly's dark brown eyes hide a wild, untamed wantonness, while Beth's silvery-grey ones betray her idealism and kindness. But the only man in the room either of them wants is the one who could destroy both their lives. Hugh, sixteenth Lord Thornley, is a rake who needs to marry an heiress to restore the fortune his father gambled away. Even a lowly daughter of a glass manufacturer will do - provided she is biddable and strong and willing to bear the son he needs. Beth, he decides, will make him the perfect wife. But it is Milly who traps him into a loveless marriage - and sets in motion a chain of events that could destroy everything they hold dear.